Lucas and Kara met at university, when they were starting on their way to becoming doctors. They became best friends and have kept up that friendship all through their eventful careers. Lucas is in a good place in his, as he's started a clinic with two good friends in inner-city Atalanta, but Kara's career is in more of a flux. Kara is an epidemiologist with the Centers for Disease Control and is constantly travelling to troubled spots to trace the origins of disease outbreaks. The work itself is satisfying, but she's getting more and more frustrated with the politics around it. Her last deployment has been almost the last drop, as her team was pulled out of the country halfway through their work when its government and Washington got into a spat. Lucas can tell there's something wrong with Kara, and he manages to get her to talk about how disheartened she's feeling and share her doubts about whether she wants to continue working with the CDC. It's a difficult, emotional exchange, and things end up with them giving in to an attraction neither had believed was there and sleeping together. But the very same night a call comes for Kara from her boss. Even though she's just arrived back home that very day, she'll need to leave for Eritrea the next morning. There's an outbreak of Ebola (I know, I know, but I've had this in my TBR for ages and if I ever knew about it I didn't remember), potentially a mutated strain, and the CDC need their best people out there. However close to a breakdown Kara is feeling, she must go. And while she's out there, she discovers there were consequences from that night with Lucas. There were good things here, some real, fully-earned angst. It was surprising, because I was pretty sure when I started this that any angst would come from Kara. There's the way she's really torn about her job, believing in it and wanting to do what she signed up for but frustrated about the politics of it all. Then there's her pregnancy, which ends up being a really high-risk one, because of a disease she contracts in Eritrea in the very early stages of her pregnancy. There's also her family history, which has left her reluctant to rely on anyone, especially not someone like Lucas, whose family rely on him way too much already. Lucas, in contrast, seemed like he was going to be the one in the stable place, balancing Kara. His job is challenging but he enjoys it as it is, and his family drama seemed more garden-variety: his mother and sisters got used to unlimited money and no responsibilities thanks to his indulgent father, and now that he's dead they can't really cope with the real world. They're burning through their inheritance (already have done, in his mother's case), and expect Lucas to pick up the slack. 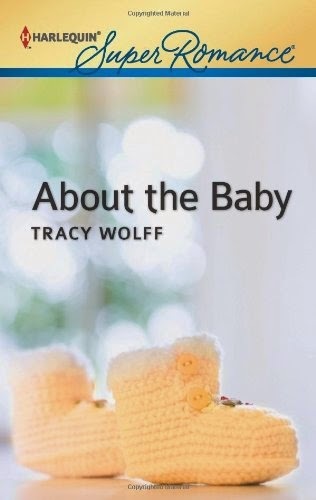 And yet, once Lucas and Kara reunite after her return from Eritrea and he finds out about her pregnancy, most of the drama comes from his family, who really are jaw-dropping. Lucas' first instinct when finding out the full-extent of the risk to Kara's pregnancy is an automatic assumption that this is another woman he'll be taking care of. He doesn't resent it, just assumes it. But nope, when some distressing news come through about one of Lucas' sisters, Kara ends up taking care of him just as much as he takes care of her. I thought that showed quite well that this was going to be a relationship amongst equals, and I liked it. The romance itself, however, is a bit sketchy. These two really don't spend that much time together, and I didn't quite get a love vibe from them. They clearly care about each other, but love? I wasn't completely convinced. I was also conflicted about the sections dealing with Kara's work. There seems to have been quite a bit of research here, and some of the setup was interesting, but things didn't really come alive, even in the sections that were set in the field. I was also disturbed by how when Kara speaks of 'Africa' at the beginning of the book it's as if she thinks of it as one homogenous, hellish place. Africa is not a country, it's a huge, diverse continent, and a doctor who's spent a lot of time in different parts of it would know that, even if she's tended to go to the bits having trouble. All in all, this aspect of the book felt like a missed opportunity. Other than making Kara's pregnancy a risky one and keeping her out of reach of Lucas for a few months, it didn't really have much impact on the story. MY GRADE: I guess a C+? The book was readable and there was enough good stuff there, but it was far from perfect. "I was also disturbed by how when Kara speaks of 'Africa' at the beginning of the book it's as if she thinks of it as one homogenous, hellish place. " Well, let me know if you ever find one!